Happy holidays! 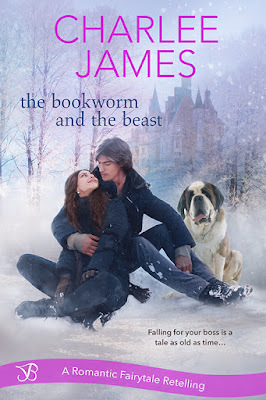 I’m so excited to share my new release The Bookworm and The Beast. The holiday season is my favorite time of year. The cold New England air, the shimmering snow, and homes dressed up with the warm glow of lights make everything seem so fresh and beautiful. I can vividly remember tip-toeing into the living room with my sister at three o’clock in the morning, and we’d just sit and stare in awe at the glossy presents under the tree. The thrill of the season creates its own special kind of magic, and it’s a perfect time for romance! Who doesn’t love the idea of cozying up to a warm fire with someone special or engaging in an impromptu snowball fight? It’s also a time for old and new traditions. Whether it’s stringing popcorn for the tree like my book’s heroine Izzy or searching for a hidden pickle ornament like my hero Derek, each family has unique ways to celebrate the season. Some of my favorite traditions were cutting down a Christmas tree, driving around with my parents looking at holiday lights, and spending Christmas Eve at my grandparents’ house. Now that I have two little ones of my own, I love sharing these moments with them and making new ones. This year, my husband, whose holiday “spirit” mirrors Derek, humored me and took us to the Christmas tree farm I used to visit as a child. My oldest was thrilled by the dog who greets visitors and follows them out into the fields. No matter what your holiday traditions are, I wish you a season filled with warmth, happy moments, and of course romance! caught her off guard, sending her into the snow. 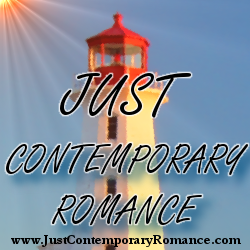 He jogged over to see if she was all right and extended his hand to her. curtain around her face, as she smiled down at him.